*Power Source: 2Pcs 2 x CR2032 batteries (included). *Mini-shaped, Solid, Durable and Flexible. *Long LED Lifespan: 10,000 Hour. *Easy operation: Mounts to any bike quickly and easily by looping. *the strong silicone loop around the frame, and hooking to the light. *3 Mode: Steady lighting, flash, slow flash. 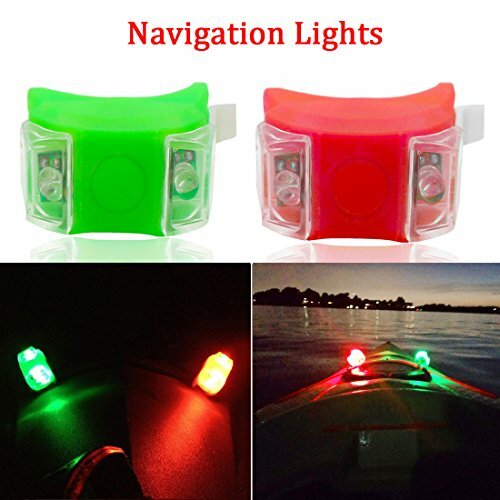 APPLICATION: Best idea for boat or kayak navigation lights, emergency lights, backup lights. These Lights can make your boat or kayak legal and safety at night, perfect for those who want fishing or go out by boat or kayak at night. Each led light comes with 2 CR2032 battery. Full bright modes sustainable use for 35 hours, flashing modes for 160 hours. What's more, since the CR2032 battery is easy to buy from the store, you can change the batteries yourself when you run out of them. We are very confidence with our product, our led bulb Warranty for 1 year from date of purchase. Warranty type: Exchange or replacement. Water resistance, but we suggest don't put it in the water in a long time. ONE YEAR WARRANTY: Buy with confidence, our product provide 1 YEAR WARRANTY from date of purchase. SUPER BRIGHT: With 2 Bright LED design the safety light can make an effective visibility of over 0.6 mile, which ensures your safety of boating or kayaking at night. EASY To INSTALL: This LED safety light comes with flexible silicon body and double hook that supports you to attach it to the boat rail of kayak rope. THREE MODES AND LONG LIFE: One-Touch switch design. This warning light will bring you more fun by the three modes of flash, slow flash and steady lighting. Steady lighting modes sustainable use for 35 hours, flashing modes for 160 hours. What's more, since the CR2032 battery is easy to buy from the store, you can change the batteries yourself when you run out of them. The Colorado XT by Classic Accessories is a 9' pontoon boat that has a 400 lb capacity, flexible storage options, an integrated transport wheel that aids in moving the Colorado XT to the water and stows when you are fishing, and removable gear bags (with included shoulder strap) that provide customizable storage with 20 pockets and two insulated drink holders. The Colorado XT's durable construction features brass oar locks, heavy-duty pontoons with abrasion resistant coated PVC bottoms and tough nylon tops, cold and heat-resistant HD vinyl bladders, a strong powder-coated steel tube frame, and 7' two-piece aluminum oars. 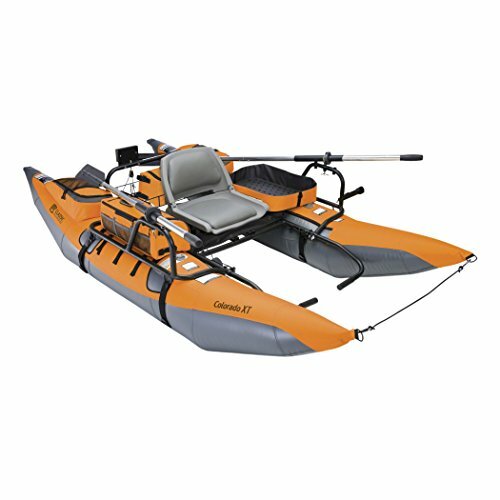 The Colorado XT's many features also include a two position weatherproof motor mount, wire rear storage and battery platform, removable stripping basket for side or lap mounting, two detachable foam fly patches, a multi-position rod holder, fully adjustable deluxe cushioned seat, and a front boat retention cord. The ingenious anchor system includes a fillable mesh bag, and a cleat and pulley system can route the anchor on either side of the boat. 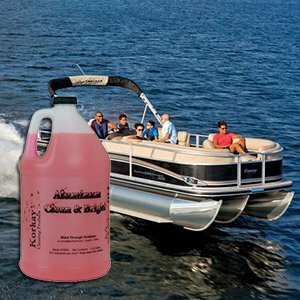 This boat is ready for your next adventure on the river, lake, or pond with a Class 1 river rating. The Colorado XT meets the strict safety standards of the ABYC, and also includes safety features such as a higher ride for improved visibility, combination fill/quick-deflation valves, tow rings, non-slip footrests, and a unique dual-side stripping apron with fish ruler that allows easy entry and exit without unclipping. We have also included a free trial membership to Trout Unlimited. Front View Front View Gear Bag Rear View Anchor Rear Storage Transport Wheel Foam Fly Patch Colorado XT Pontoon Boat 9 foot high-capacity pontoon boat with transport wheel, removable stripping basket and gear bags BOAT SPECIFICATIONS 9 foot pontoons 400 lb capacity River rating Class 1 Assembled size: 108"l 56"w 26"h Weight: 68 lbs 2-year warranty SPECIAL FEATURES Removable side pockets provide customizable storage, including 20 pockets and two insulated drink holders Removable side pockets can combine to create a portable gear bag Transport wheel allows easy access to your favorite fishing spot and stows up out of the way when fishing Removable stripping basket for side or over-the-lap mounting Sturdy two position motor mount for trolling Wire rear storage and battery platform Rod holder can be mounted in three different positions on each oar stand Anchor system with fillable mesh bag; cleat and pulley controls can fit on either right or left side of boat Two detachable foam fly patches Front boat retention cord COMFORT FEATURES Three oar-lock positions Padded fold-down plastic seat Seat and footrests adjust to a wide variety of leg lengths CONSTRUCTION FEATURES Heavy-duty pontoons with abrasion-resistant PVC bottoms and tough nylon tops Powder-coated steel tube frame Bronze oar-locks Rugged two-piece 7 foot aluminum oars Cold and heat-resistant bladders Combination quick inflation/deflation valves SAFETY FEATURES Safety labeling as per ABYC standards Rides high for improved visibility Non-slip footrests Removable stripping basket Colorado XT Pontoon Boat The Colorado XT inflatable personal pontoon fishing boat offers huge storage capacity; includes removable gear bags, 20 pockets and 2 insulated drink holders. Transport wheel makes moving boat on land a breeze for one person. Gear bags combine for greater portability and capacity. Removable stripping basket for side or lap mounting. Weatherproof motor mount. Wire rear storage and battery platform. Fishing rod holder can be mounted in 6 different positions. Integrated anchor system with fillable mesh bag, cord and pulley can be mounted from either side or back. Detachable foam fly patch. Padded plastic seat for extra comfort. 3 oar-lock positions. Seat mount and foot rests adjust to any leg length. Unique dual-side stripping apron with fish ruler allows entry and exit of pontoon boat without un-clipping. Rides high for improved visibility. Combination fill/quick deflation valves. Tow rings. Non-slip foot rests. No tools needed for assembly. Brass oar locks. Heavy-duty pontoons with abrasion-resistant PVC bottoms and tough nylon tops. Powder coated steel tube frame. 7' two-piece aluminum oars. Cold and heat resistant bladders. 9' pontoons. 400 lb. capacity. River rating-Class I. Assembled weight 77 lbs. Assembled size is 108" long x 56" wide x 26" high (to top of seat). 2-year warranty. 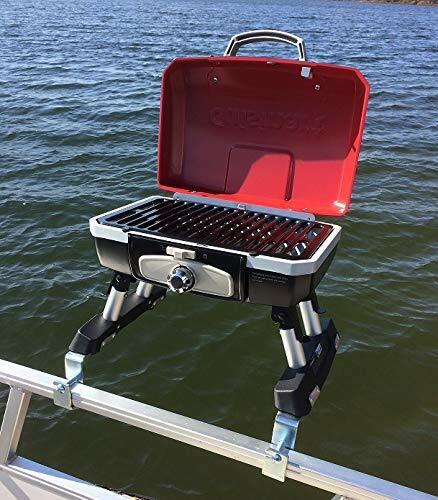 Enjoy this quality Cuisinart BBQ Grill with pre-installed brackets perfect for your pontoon railing. The feet of the grill are retrofitted for the Arnalls Grill Brackets. Brackets are 7 GA 304 Stainless Steel. Fits Pontoon boat rails with 1.25" square railing. Will not scratch or mark your railing. Quick on and off, and portable. This awesome grill is perfect for your pontoon boat, it beats the competition hands down. Some grill benefits, stainless steel burner and drip tray, locking lid, easy carry handle, and a larger cooking area than Coleman's Perfect Flow portable grill. The Cuisinart has a solid mount for the propane tank, not a flimsy wand! The grill only weighs 18 pounds. Enjoy this grill anywhere! Simply unscrew 4 large knobs off the bottom and pull the grill off the brackets. The grill comes in the original box from Cuisinart. You will find the Arnalls brackets pre-installed at the bottom of the box. NEW** Search ARNALLS PONTOON CHEF to see our new FULL STAINLESS VERSION! Brand: Classic Accessories | Manufacturer: Sportsman Supply Inc.
See description below for full features and details! In order to optimize space utilization, we highly-- recommend the AQUOS round rail base that can allow you to outfit a series of different accessories to the guard bar such as fish finders, GPS, multiple rod holders etc. Made of 304 high grade stainless steel / aluminum base, the guard bar is rest-resistant and strong enough to with stand extreme conditions It adds safe, secure support for casting while standing and a convenient hand-hold while stepping aboard The guard bar offers a ton of usable space that catches any gear you want, letting you carry more fishing tackle. It can also be modified to suit your own needs. The guard bar will be the best fishing partner you'll ever have. In order to optimize space utilization, we highly-- recommend the AQUOS round rail base that can allow you to outfit a series of different accessories to the guard bar such as fish finders, GPS, multiple rod holders etc. The guard bar offers a ton of usable space that catches any gear you want, letting you carry more fishing tackle. It can also be modified to suit your own needs. The guard bar will be the best fishing partner you'll ever have. Pontoon boats are a great way to get to places where fish are hiding, but who's got 35- to 40 minutes to put a boat together like required for most tubular frame pontoon boats. The FoldCat375fc has a unique folding support system that can be inflated and assembled in 5 minutes by one person. The FoldCat 375fc will take upto a 3hp gas engine, but motors very well with a small electric motor. Two swivel seats allow you to turn the follow the fish wherever they swim. Unlike other pontoon boats with thin bladders inside of a heavy and porous outer bags, the Foldcat375fc features 1000 denier reinforces inflatable hull - just like the Sea Eagle Sport Boats that handle upto 40H.P. This boat weighs only 75-lbs, but has a whopping 2 person/650-lb capacity. The Wilderness SE is a 9-foot pontoon boat exclusive to Costco. It includes a removable transport wheel, providing you a convenient, practical way to get you into the water faster. Featuring 6 mesh, and 6 zippered pockets, this boat has room for all your gear. With oars and a padded swivel seat, the Wilderness 18 SE includes everything you need to get out to the lake in comfort. Features: Includes Oars Anchor System Padded Swivel Seat Adjustable Foot Rests Motor mount for trolling Includes Transport Wheel Includes 6 mesh pockets and 6 zippered pockets Specifications: 400 lbs. (person and gear) Suitable for Class 1 river use 9 ft. pontoon Dimensions / Assembled size: 108 in. Long 57 in. Wide 28.5 in. High (to top of seat) Weight: 80 lb. 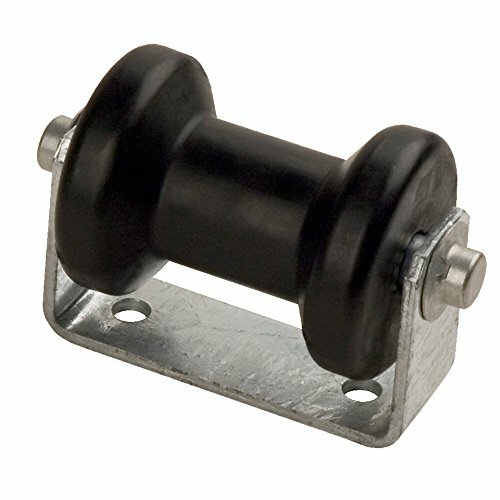 1-1/2" Wide Keel Base Roller Assembly f/2" - 2-1/2" Tongue Product Description This roller assembly supports your boat's keel for easy loading and safe transport on your trailer. It features a 4" , black rubber spool roller and a galvanized steel bracket that attaches to your trailer's tongue. 2 to 2-1/2" trailer tongue. Features: Spool roller supports your boat's keel as it sits on the trailer Prevents the bow from making contact with your winch Eases loading and unloading of boat Helps to absorb road shock while boat is being trailered Bracket lets you bolt roller assembly onto the tongue or frame of your boat trailer Requires 7/16" fasteners (not included) Sturdy, 1/8" galvanized steel bracket resists corrosion Black rubber roller delivers long-lasting performance Made in USA Specifications: Roller length: 4" Shaft diameter: 5/8" Diameter of mounting holes (each): 7/16" Spacing of mounting holes: 3" apart on center Typically installed flat on the tongue of a boat trailer, this spool roller bracket assembly stabilizes the keel of the boat during trailering. The Hunter green Stealth Stalker 10 is a new kind of fishing boat equipped for use in various fishing conditions.. on rivers, lakes, bays..in calm or rough weather. Comfortable for two, easily handled by one! this roomy, portable, light weight boat features a fully enclosed hull for use on almost any body of water. Wide sectional floorboards provide plenty of fishing space and a conveniently located stow bag makes for easy access. 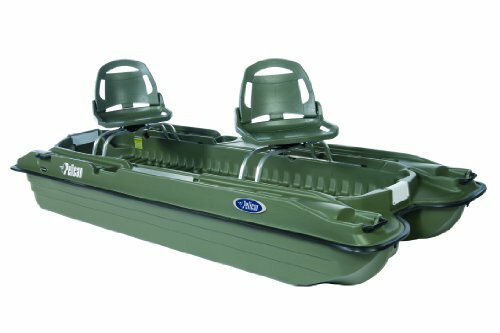 The new Hunter green Stealth Stalker 10 is a stealthy inflatable boat that's perfect for fishing or hunting. Lightweight and portable it goes anywhere and sets up in under 15 minutes! utilizing a round-hull configuration with an inside cockpit this enclosed boat gives anglers a safe secure feeling while fishing in calm or rough seas. A truly stable and functional fishing Craft that can be used in a wide range of fishing and water conditions. 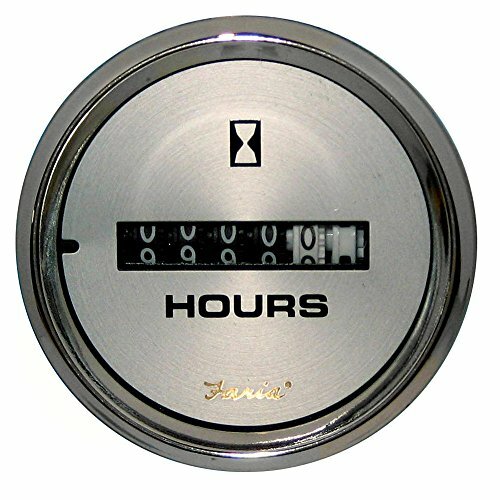 Plus.. a three year warranty! all our Sea Eagle boats are covered for a full three years against manufacturer's defects.. from bow to stern. Stealth Stalker 10 Pro package: designed for the pros, featuring two removable 360 degree swivel seats on 7 inch pedestals, 4 universal Scotty mount pads, 4 universal Scotty deck mounts, 4 Scotty rod holders and a motor mount. Standard features: NMMA certified new Hunter green color full fabric floor 3 carry handles 4 built in universal Scotty mount pads motor mount receiving brackets canopy receiving brackets raised oarlocks for better rowing marine plywood floorboards provide standing stability and hull rigidity, aluminum h-bar and side struts included printed instructions. Capacity: 4 Adults or 1200 lbs. Exterior: 10' x 5' Assembly time: 15 min. The Bass Raider's tri-keeled hull ensures excellent tracking and minimizes side slipping, while its beam gives stability and maximum carrying capacity. Brand: Pelican | Manufacturer: Pelican International, Inc. The Sea Eagle FoldCat features a patented folding system allowing this inflatable pontoon boat to be fully assemble in just minutes! When fully inflated, lightweight aluminum cross boards and under bars combine to create a rigid fishing platform giving anglers a full access deck. This boat is ideal for two anglers to stand and cast in all directions. The full fabric floor with the aluminum cross boards will hold any electric batteries, fishing tackle, tackle boxes or fishing lures you may have, even if you drop them! 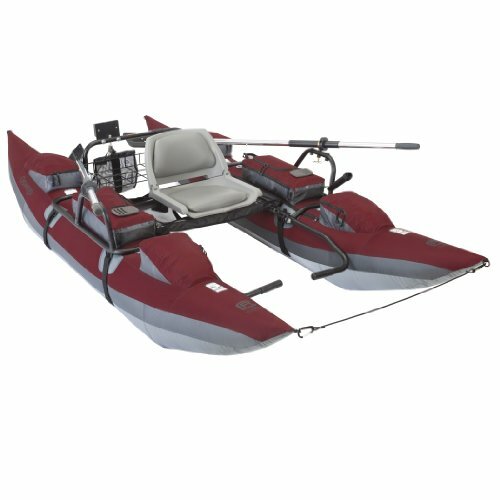 Best of all this boat comes comfortably equipped with padded 360 swivel seats, oarlocks, and a motor mount which allows you to paddle, motor and fish! Now available in a Dark Hunter Green to blend in with the waters and surroundings where fish hide most! 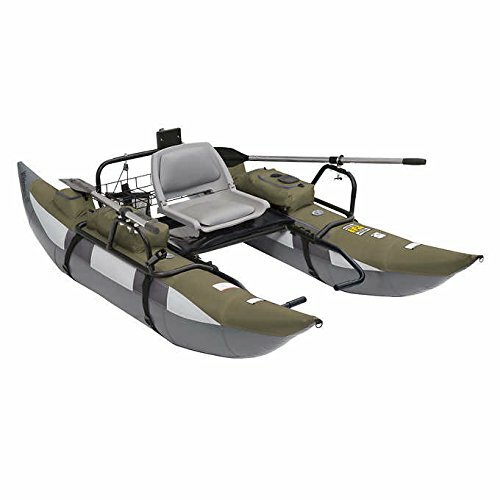 The 375fc Fold Cat inflatable one or two man pontoon fishing boat with patented folding frame design is a lightweight, portable, fuel efficient, large platform fishing boat for two that packs easily into a car and does not require a trailer! Featuring the versatile universal Scotty Mount System with 2-4 Scotty Rod Holders and the ability to attach an incredible assortment of Scotty accessories. 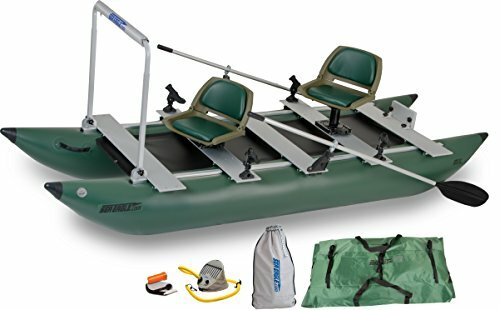 The Deluxe Package includes: 375fc FoldCat Hull, Two Green Swivel Seats, River Oar Set, Two Scott Rod Holders, Green Boat Carry Bag, Two Quick Release Seatmounts, A41 Foot Pump, Oarlock Set, 7" Pedestal, Set of 2 Oarlock Pins, Repair Kit, Instructions and Three Year Manufacturers Warranty. Weight: 75 lbs. (hull only) / Exterior: 12' 4" x 4' 6"
Capacity: 2 Adults or 650 lbs. / Inflation & Assembly time: 10 Mins. 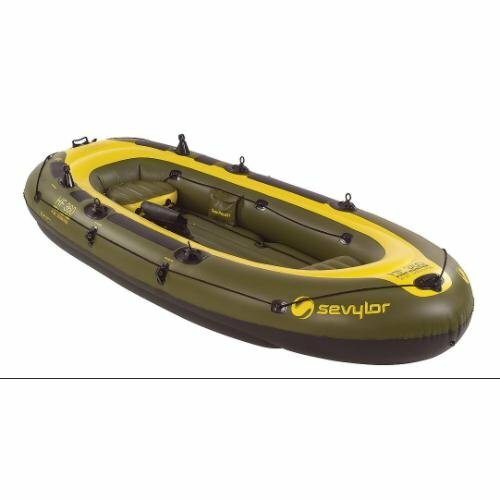 The Sevylor 3408 Fish Hunter inflatable boat is easy to operate and comes fisherman tough! 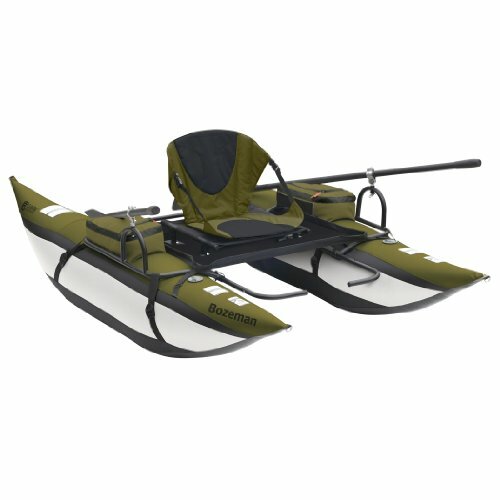 The boat comes with gear bag, grab line, two fishing rod holders, oar holders, four swivel oarlocks, and two inflatable seats. The boat also features a six-person, 1,200 pound capacity and has bow and stern fittings for electric motors. No need to mess with dangerous power supplies! This DIY exterior waterproof multi-color LED kit fits nicely on the underside of the deck on your pontoon boat, adding accent lighting to both sides of your boat. You'll be the envy of everyone on the lake when you turn the lights on. Pick your favorite color, or let the system cycle through all the colors while beating to the music. 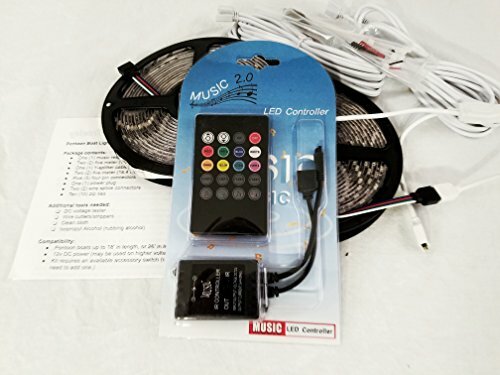 Kit contains: LED color controller with optional music response, Two strands of waterproof lights with 3M adhesive (one for each side), and all connecting cables needed to tie into your 12 accessory system. Cycle through all colors, or pick your favorite anytime! Talk about the best of both worlds-with the Bozeman you can fish water in a fishing pontoon boat that otherwise might be accessible only by a float tube. It includes an entire eight-foot fishing pontoon boat, oars and a lightweight foot pump all of which fit into a comfortable and surprisingly compact backpack. On the Bozeman you will find everything you need for a great day of fishing. The generous armrest storage includes two large zippered pockets and mesh stuff pockets for your small gear. A big zippered pocket on the seat back stows extra clothing. 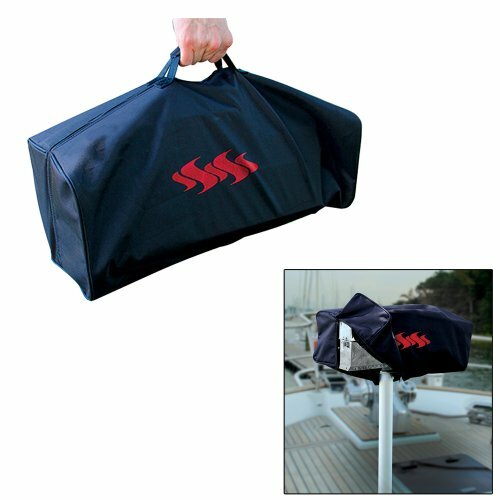 A fabric platform underneath provides a place to lash a dry-bag in the back and extends to the front as a rimmed stripping platform with a fish ruler. The comfortable padded seat conforms to your body and the stadium style seat back adjusts to your preferred angle for fishing and rowing. The non-slip footrests adjust to a variety of leg lengths. Front View Armrest Storage Adjustable Seat Backpack Ergonomic Fit Lid converts into waist pack Seatback Pocket Bozeman Pontoon Boat Fish anywhere! The entire fishing pontoon boat, oars and pump fit into a compact 45 pound backpack. BOAT SPECIFICATIONS 8 foot pontoons 350 lb capacity River rating Class 1 Assembled size: 96"l 55"w 29"h Weight (boat and oars only): 43 lbs 1-year warranty SPECIAL FEATURES Includes an 8' pontoon boat, backpack, oars and foot pump Armrest storage includes two large zippered pockets and small mesh stuff pockets Big zippered pocket on seat back Fabric rear storage platform Under-seat apron fish ruler Steel clamp oar locks and rugged three-piece 6 foot aluminum oars BACKPACK FEATURES Super wide opening for easy packing of boat and all components Ergonomic fit shoulder pads with adjustable load lifters Adjustable sternum strap stabilizes shoulder pads Padded back panel helps distribute weight to hips Side compression straps secure the boat during transport Removable lid becomes waist pack for carrying extra gear when fishing Pack Size: 31''l 18''w 12''h Weight (boat & backpack): 45 lbs COMFORT FEATURES Comfortable padded seat conforms to the body while the stadium style seat back provides additional support Footrests adjust to a variety of leg lengths CONSTRUCTION FEATURES Heavy-duty pontoons with abrasion-resistant bottoms and tough nylon tops Powder-coated steel tube frame Cold and heat-resistant bladders Combination quick inflation/deflation valves SAFETY FEATURES Safety labeling as per ABYC standards Rides high for improved visibility Bozeman Pontoon Boat Fish anywhere! The entire fishing pontoon boat, oars and pump fit into a compact 45 pound backpack. Talk about the best of both worlds - with the Bozeman you can fish water in a fishing pontoon boat that otherwise might be accessible only by a float tube. It includes an entire eight-foot fishing pontoon boat, oars and a lightweight foot pump all of which fit into a comfortable and surprisingly compact backpack. On the Bozeman you will find everything you need for a great day of fishing. The generous armrest storage includes two large zippered pockets and mesh stuff pockets for your small gear. A big zippered pocket on the seat back stows extra clothing. A fabric platform underneath provides a place to lash a dry-bag in the back and extends to the front as a rimmed stripping platform with a fish ruler. The comfortable padded seat conforms to your body and the stadium style seat back adjusts to your preferred angle for fishing and rowing. The non-slip footrests adjust to a variety of leg lengths. 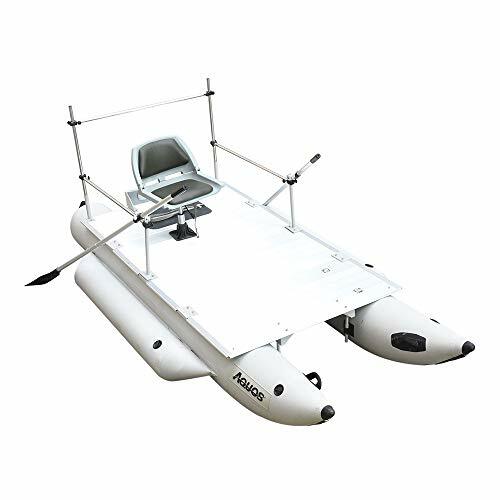 The construction features on this inflatable pontoon boat features include steel oarlocks that clamp the rugged three-piece aluminum oars in place. The powder coated steel tube frame rests on pontoons built with abrasion resistant bottoms and heavy-duty fabric tops. The cold and heat-resistant bladders feature combination quick inflation/deflation valves. The special backpack is fitted with comfort features found on full camping backpacks but is specially designed with a wide-open top for easy packing of the boat. A padded waist belt helps distribute weight to the hips. Ergonomic fit padded shoulder pads with adjustable load lifters ease weight on the shoulders. 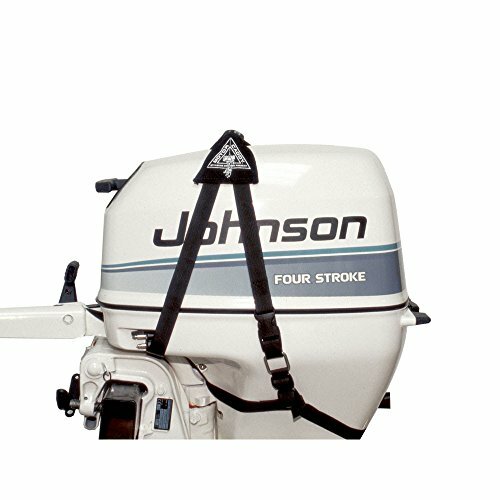 Side compression straps secure the boat and oars. There s a large outside zippered storage pocket for additional gear and, literally topping it off, a handy backpack lid that converts to a waist pack. Motor Caddy Motor Caddy is sized to be quickly attached to most outboards from 2-15 horsepower. This improved design features a longer strap to fit 4-stroke motors and an added security strap for today's streamlined engine cases. Made of UV resistant materials that will endure the marine environment for those who prefer a semi-permanent installation. 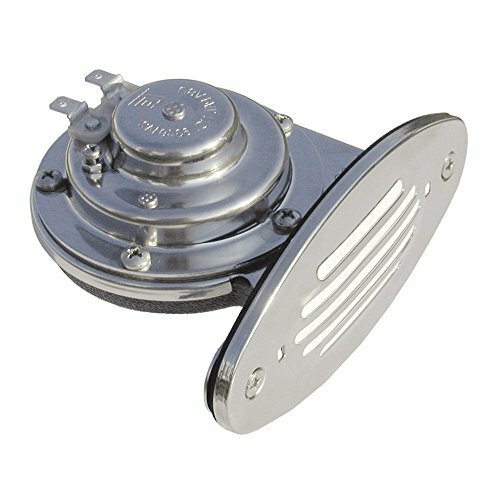 Glass filled nylon buckles insure that Motor Caddy is easy to install and remove. Makes lifting and moving cumbersome motors safer and simpler. The Oswego is the crossover of fishing pontoon boats, light and fast but with 10-foot pontoons that give you extra weight capacity. This big inflatable pontoon boat has a big supply of features and storage space as well. Multiple storage pockets include six oversized zippered pockets, two mesh pockets for small gear and two drink holders. In back there is a two-position motor mount for trolling and sturdy wire platform with room to lash a battery and a dry bag. The anchor system with a fillable mesh bag has cleat and pulley controls that fit on either side of the boat right by where you sit. Up front the unique under-seat stripping apron with a fish ruler allows entry and exit without unclipping. Front View Foam Fly Patch Anchor Pulley Rear Storage Platform Arm Rest Storage Rear View Rod Holder Oswego Pontoon Boat 10 foot pontoon boat with higher weight capacity BOAT SPECIFICATIONS 10 foot pontoons 450 lb capacity River rating Class 1 Assembled size: 120"l 56"w 26"h Weight: 76 lbs 2-year warranty SPECIAL FEATURES Large high storage capacity; includes six oversized pockets, two mesh pockets and two drink holders Wire rear storage and battery platform Rod holder can be mounted in six different positions Anchor system with fillable mesh bag; cleat and pulley controls can fit on right or left side of boat Sturdy two position motor mount for trolling Two micro-slit detachable foam fly patches Front boat retention cord COMFORT FEATURES Three oar-lock positions Seat mount and footrests adjust to a wide range of leg lengths Padded fold-down plastic seat CONSTRUCTION FEATURES Heavy-duty pontoons with abrasion-resistant PVC bottoms and tough, tightly woven fabric tops Bronze oar-locks Powder-coated steel tube frame 7 foot two-piece aluminum oars Cold and heat-resistant bladders Combination quick inflation/deflation valves SAFETY FEATURES Safety labeling as per ABYC standards Rides high for improved visibility Unique under seat stripping apron with fish ruler allows entry and exit without unclipping (metric and imperial) Non-slip footrests Oswego Pontoon Boat The Oswego is the crossover of fishing pontoon boats, light and fast but with 10-foot pontoons that give you extra weight capacity. This big inflatable pontoon boat has a big supply of features and storage space as well. Multiple storage pockets include six oversized zippered pockets, two mesh pockets for small gear and two drink holders. In back there is a two-position motor mount for trolling and sturdy wire platform with room to lash a battery and a dry bag. The anchor system with a fillable mesh bag has cleat and pulley controls that fit on either side of the boat right by where you sit. Up front the unique under-seat stripping apron with a fish ruler allows entry and exit without unclipping. Additional handy features include a handy front retention cord and two micro-slit detachable foam fly patches. The Oswego s big on comfort and adaptability too. The comfy padded fold-down plastic seat provides excellent support for rowing. The non-corroding brass oarlocks can be set in three rowing positions and both the seat and the non-slip footrests adjust to fit a wide range of leg lengths. The construction features a strong powder coated steel tube resting on heavy-duty pontoons built with abrasion resistant bottoms and heavy-duty fabric tops. The cold and heat-resistant bladders feature combination quick inflation/deflation valves. 2-year warranty. Exterior: 53" x 24" x 11"
"ONLY REPLACE NO REPAIR" is the warranty for the FISHME Pontoon boat and FREE replacement parts within THREE YEARS, the certificate will come with the pontoon boat in order to help you to register. 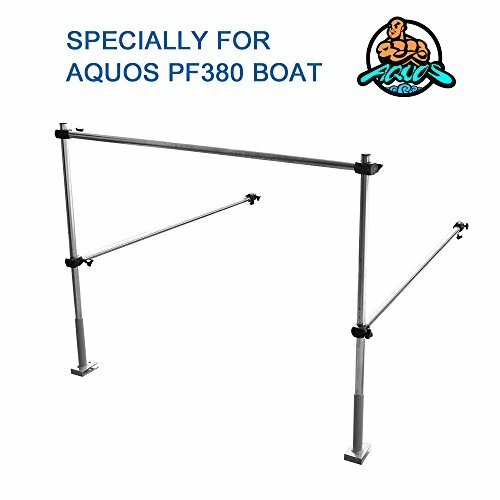 The AQUOS New PF380 FISHME Pontoon Bass Fishing Boat is easy-carry, gas-saver, more stable and secure, large platform fishing boat for one or two anglers that pack easily into a car and no trailer needed! The 360-degree swivel seat manufactured with a heavy duty marine grade vinyl providing durability against UV fading and mildew. It offers plenty of back support and generous cushions. Installation time takes less than 30 minutes because of the PF380 FISHME Pontoon Boat can be set up easily and break down completely, it's compact and portable so you can transport it on an airplane, on a larger boat, in an RV or in the trunk of your vehicle to anywhere you want to go. Four individual chambers (including two extra reinforced chambers) provide additional buoyancy and have lesser hazards of capsizing when catching large fishes. Even when two anglers are standing on the same side of the pontoon, it's still stable enough for the anglers to cast. With the solid full size of aluminum floor boards (94'' x 51''), a truly stable and secure fishing space for the anglers to stand and cast in all directions. 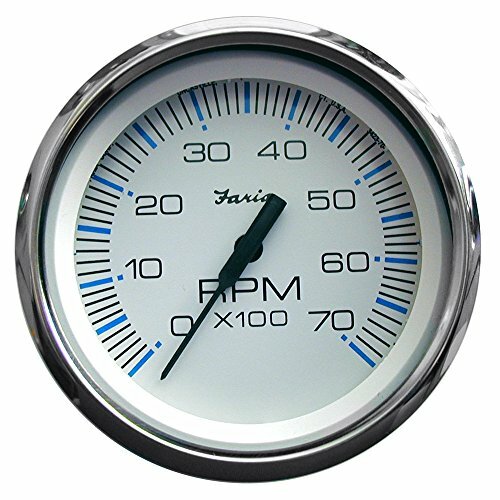 Made of 304 high grade stainless steel and high composite plastic base, it's rust-resistant and strong enough to withstand extreme conditions.